Here at Eastgate, we value investing in the next generation. One of the ways we accomplish this is through our student ministries. 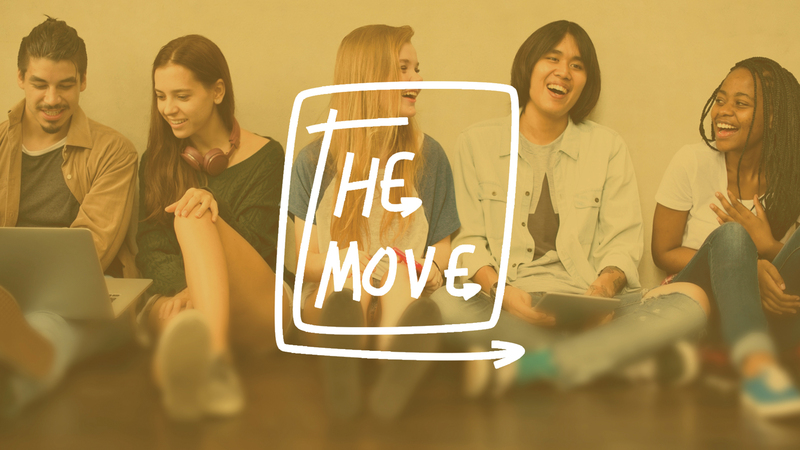 From September – May, our 6th-12th grade students will gather on the second Sunday of each month for “THE MOVE” where they connect with each other and with God. It’s a time of food, fun, and friendship in a casual atmosphere. Questions or more info? Email us here. Because we value small groups, during the other weeks of the month our middle and high school students meet for group discussion and peer connection. Questions? More Info? Contact our groups leader here. This semester we are diving deep into God’s word to help build your faith. Our Small Group will include real, intimate conversations, additional resources, food, and fun. You won’t want to miss out, and as always, bring a friend! We will meet every Sunday at 12:00 pm in the Student Building, except for 2nd Sunday (“The Move”). “Every Sunday of the month except for 2nd Sundays (“The Move”), guys 6th-12th grade are invited to join us in small groups. This is how students connect and build relationship with others in the same season of life.” We will meet at 12:00 pm in the Student Building, and as always, bring a friend!